This is a 1/48 scale GeeBeeski Racer. 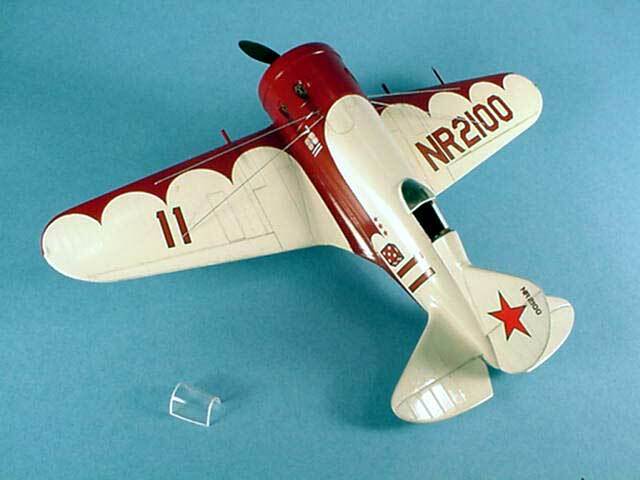 A while back, a friend was busy building every variant of the Russian Polikarpov fighter. 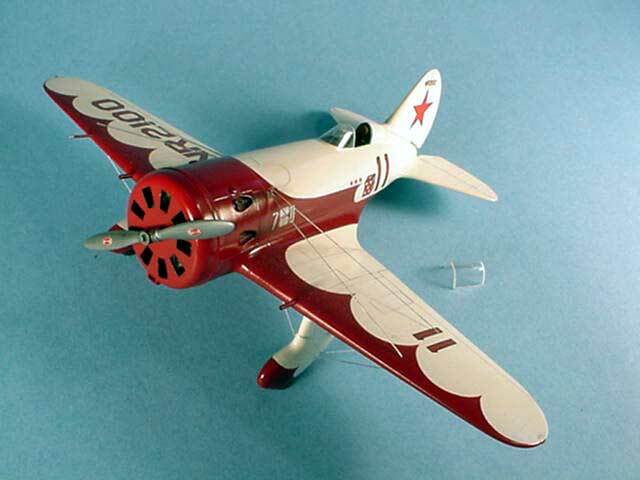 I was looking at his I-16 and said, "You know, that looks like a Gee Bee. 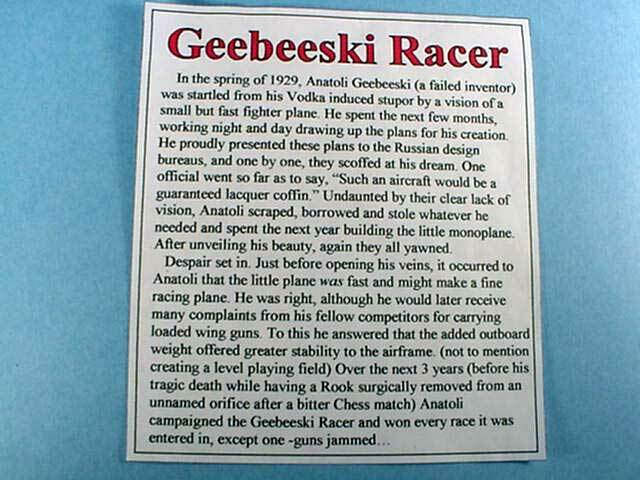 You ought to build one more, paint it like the racer and call it a GeeBeeski." He told me to do it because when he was done with his collection, he wouldn't want to look at another one. So I bought a Hobbycraft I-16, took the landing gear from the Testors Gee Bee and went to work. The cockpit was cut and moved back 5/8". I added to the sparse cockpit-belts, throttle, etc. The I-16 gear bays were filled with sheet stock and the Gee Bee gear was attached. The canopies are heat & smash. Gunze and Polly Scale Paints were used. I used my circle template and blue 3-M FineLine tape (found at auto paint supply stores) for the sharp scallops. The stickers are from the Gee Bee kit and from scraps. Note the 3 kill marks. Some weathering was added.